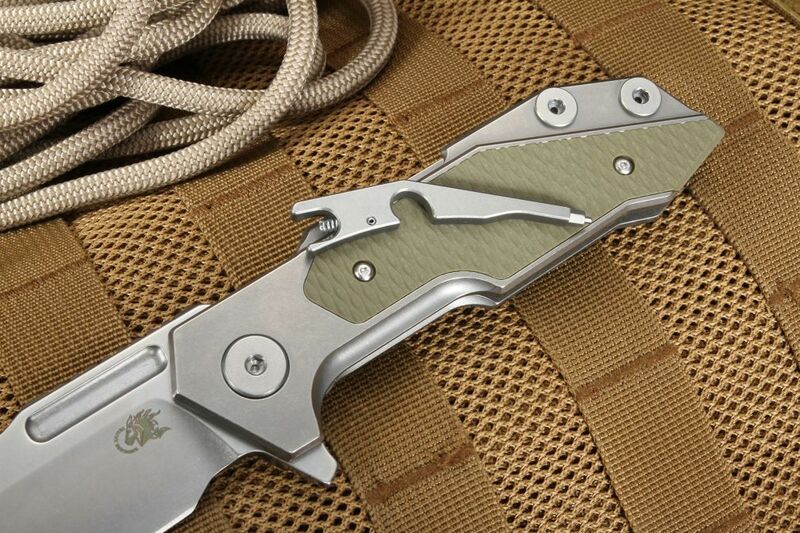 Big brother of the Halftrack, the Fulltrack is 1/3 larger with a 3.75" flat grind spearpoint blade. 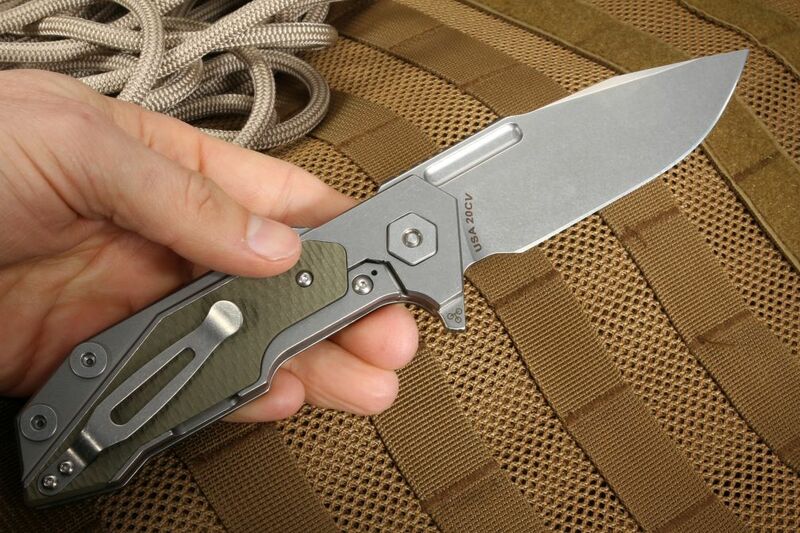 Evolved from the XM-18 knife, the Fulltrack features CPM-20CV steel in a stonewashed finish to allow for greater corrosion resistance and also conceals marring from everyday use. 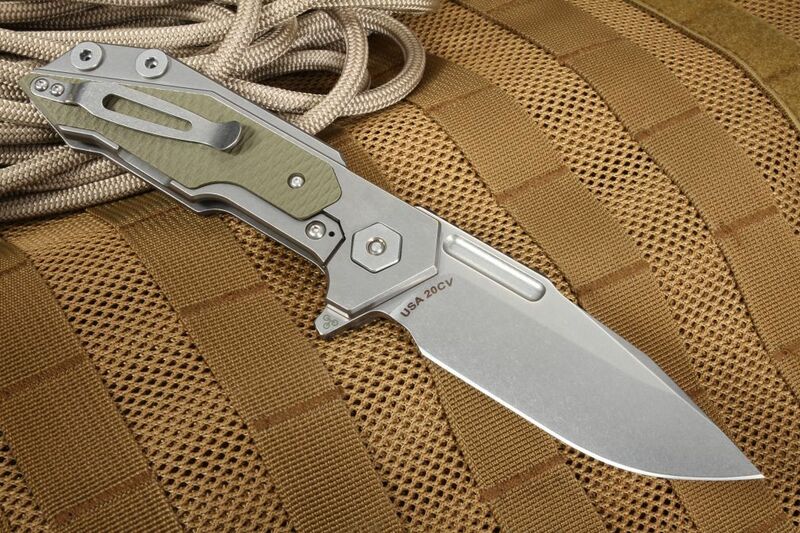 A very hardy, overbuilt flipper style with a titanium handle featuring the Frame Lock locking mechanism and a whole bevy of other innovative designs you won't see on any other knife of its kind. 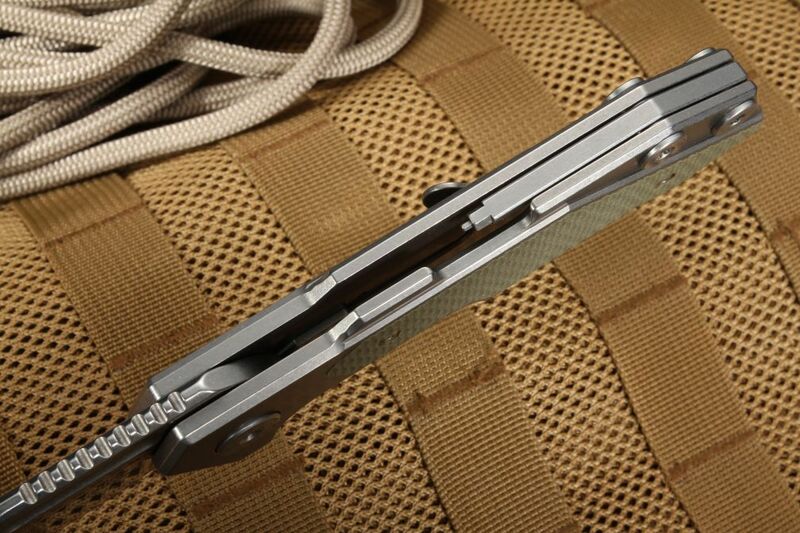 The frame lock has a hardened steel lock bar interface. Rick Hinderer's motto of "make it your own" is taken to extremes with the Fulltrack. 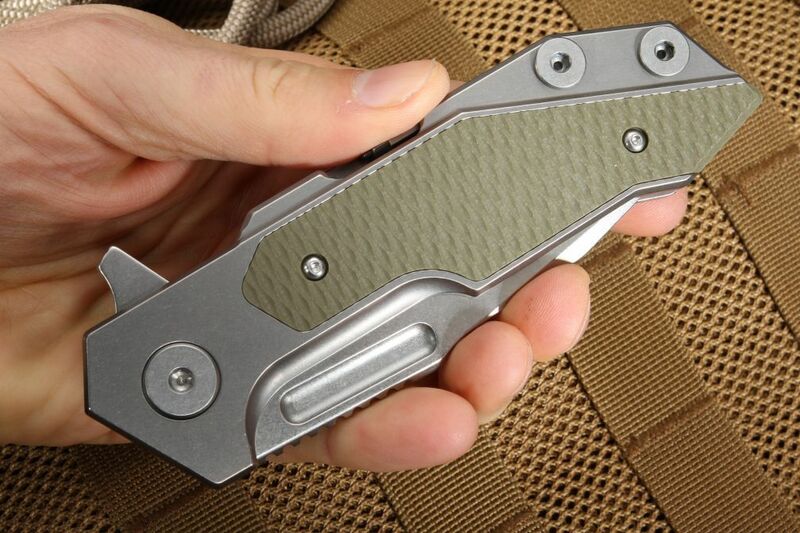 Incorporated into the standoff on the back of the handle, a detent allows you to use a specialized tool which is included with the knife to field-strip and modify your knife! 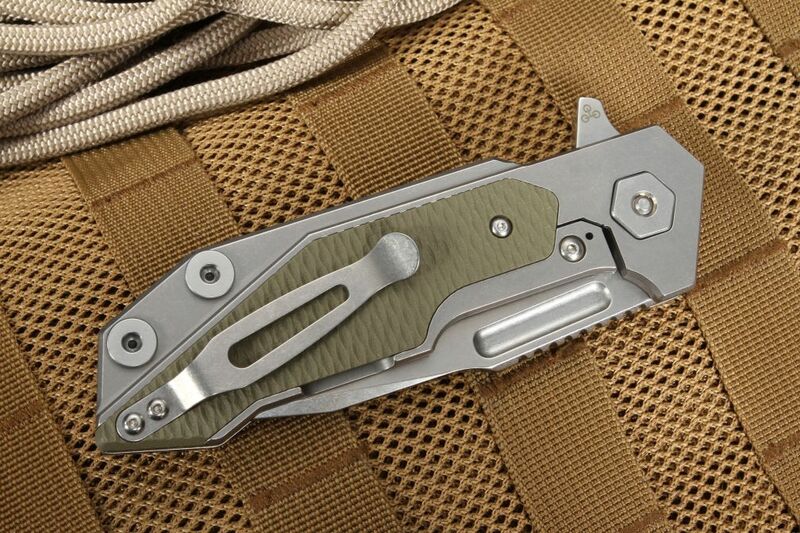 The tool allows you to remove and adjust the handle screws, pivot, and the pocket clip. 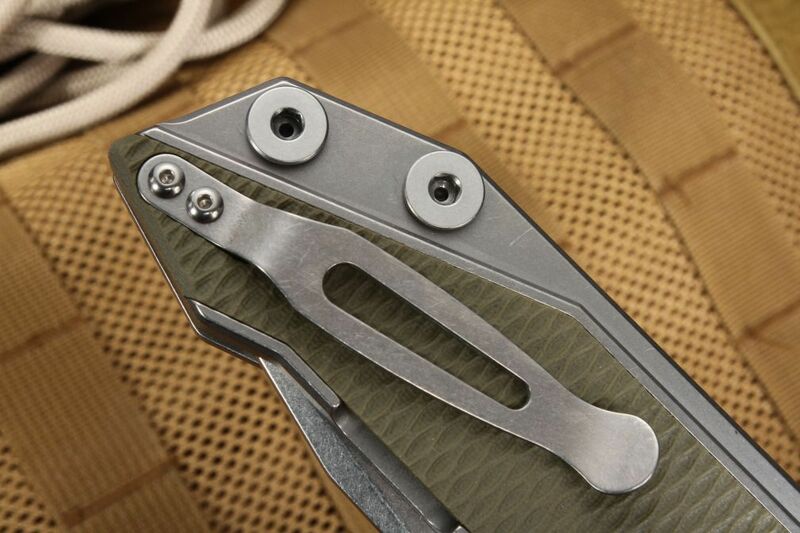 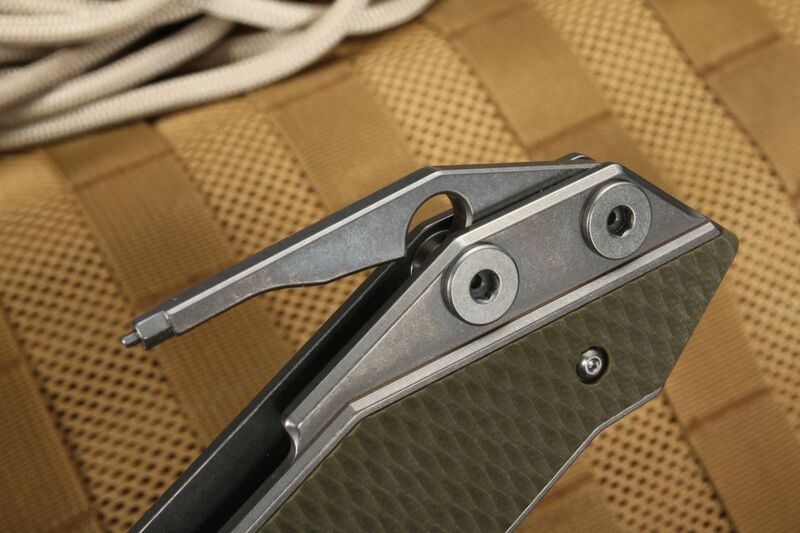 Titanium pocket clip is mounted for tip-up carrying, but the Fulltrack also features a compartment on the handle which holds nylon, phosphor bronze, and bearing washers! 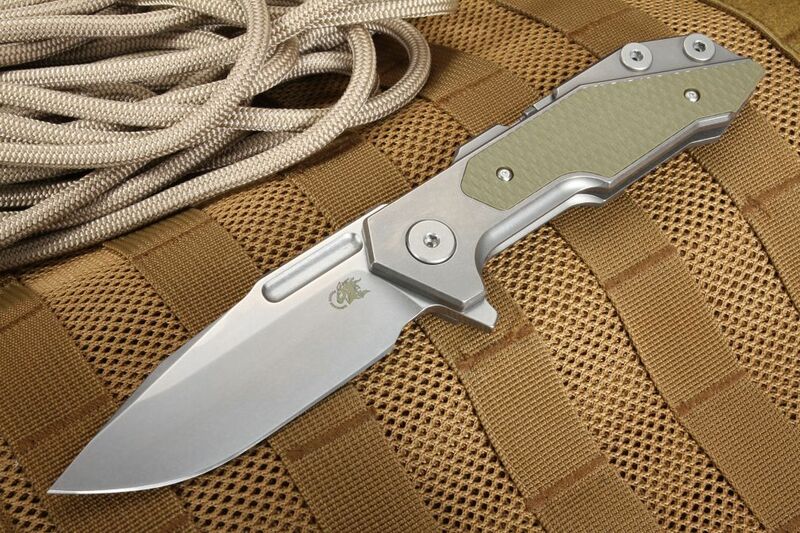 These three pivot options are referred to as the Tri-way-pivot by Rick Hinderer. 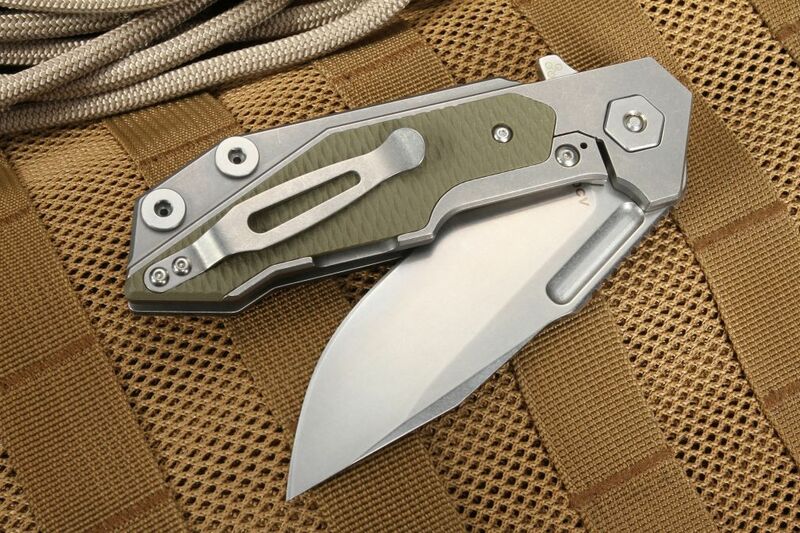 Depending on the job you need to get done, there is a washer that suits your needs, ready to switch out at a moment's notice.